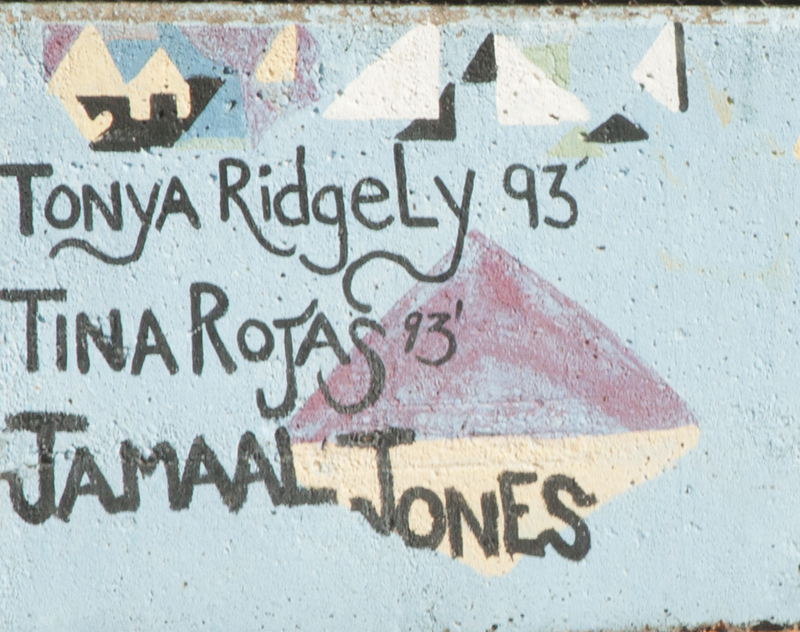 These murals were painted in 1993 when this building was known as CAPA High School (Creative and Performing Arts), Pittsburgh’s equivalent of FAME. The first image has the signatures of the artists. 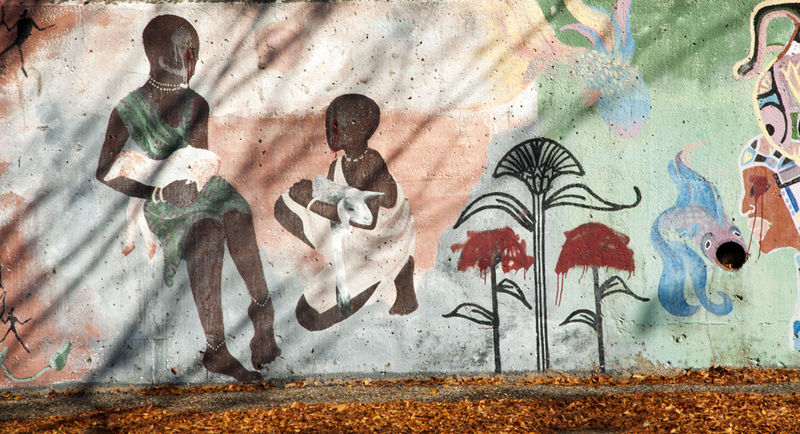 What I love most about this mural is how Afro-Centric it is. It has images that show the beauty of Africa, both in terms of people and animals. The last piece with the African equivalent of deer didn’t turn out so well, and is not included. I mostly tried to only tweak the lights/shadows, allowing you to see the decline of the mural, yet the beauty of what it was. Hope I succeeded. It is located on Frankstown Avenue near the corner of Brushton Ave. There is a playground in the same location. This was previously Belmar Elementary and is now the Student Achievement Center (an alternative school).